The Nokia Lumia 820 has a suggested retail price of P18,990 and is available in selected Nokia Stores nationwide. Take your pick from black, white, redand yellow*. #switchtolumia. Nokia announces the availability of its first Windows Phone 8 device in the Philippines. 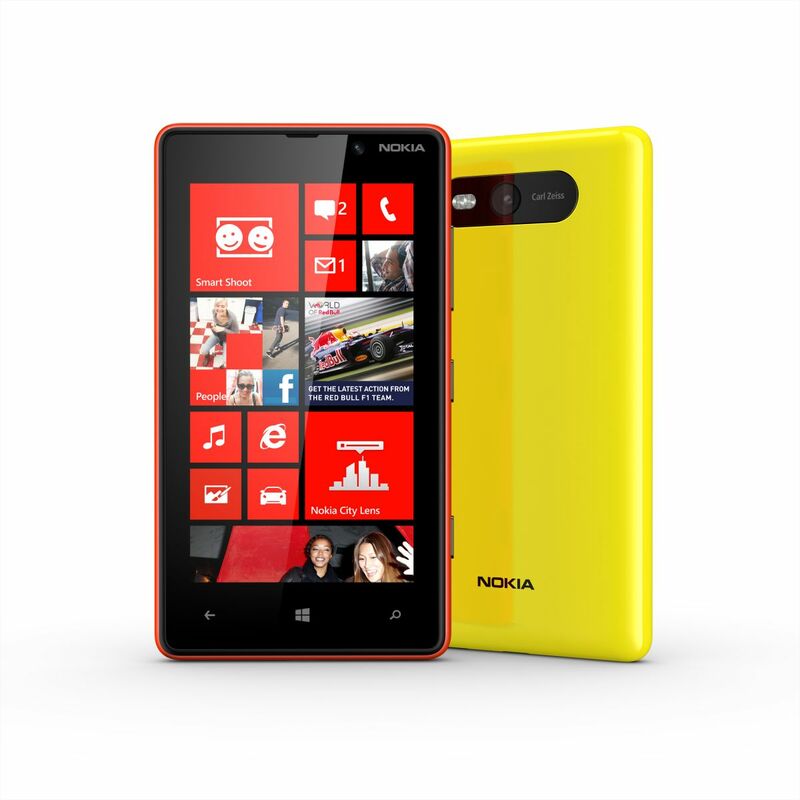 The Nokia Lumia 820 is a stylish, mid-range smartphone that delivers high-end performance in a compact package. It features a fast 1.5 GHz dual-core SnapDragon S4 processor, with a sensitive 4.3” OLED ClearBlack display, a pixel perfect 8-megapixel camera, with curved sides and rounded corners that allow it to sit comfortably in your palm.While the Nokia Lumia 820 has the same unibody look and feel as the high end Lumia smartphones, it comes with an exchangeable shell design. Exchangeable shells not only make it possible to select from a range of colors, but also to add wireless charging. Beneath the shell is room to insert a micro SD memory card.This model also features LTE connectivity which provides users the fastest available data connections supported by mobile networks. Windows Phone 8 provides a more personal smartphone experience, with a start screen that can be easily rearranged to reflect individual priorities and new animated Live Tiles for real-time updates on the things that matter most. The ability to sync content between Windows Phone 8 smartphones, Windows 8-based PCs and tablets means files, music, pictures and video can be accessed in whichever way is most convenient. With Internet Explorer 10 for faster, safer browsing and Microsoft Office apps built into the platform, Windows Phone 8 is also the easiest way for getting things done. 1. The impressive large storage capacity can hold a lot of data. Internally, it has 8GB of storage and can handle up to 64GB via a microSD card, then there’s 7GB in SkyDrive. That’s 79GB of memory! 2. Tethering on the Nokia Lumia 820 supports up to 8 devices. So, you can share your 3G or LTE connection with your friends or your laptop and use Wi-Fi to share your devices. 3. With Smart Shoot, you can use the Nokia Lumia 820 to create the perfect picture of friends and family. Simply take a series of pictures one after the other, then merge the best together to capture everyone at their best. 4. Nokia exclusive lens on the Lumia 820 means that you can animate your photos with Cinemagraph. 5. Nokia City Lens also uses the lens to find out current locations and provide detailed information on the points of interest of the surrounding area, such as restaurants, hotels, famous landmarks, etc. 6. You can use the Nokia Lumia 820’s camera to translate text. You just use Bing search, press the eye-icon and point the camera at a foreign text and you get the translation. No more blindly pointing at an incomprehensible menu. 7. The Lumia 820 has two HAAC microphones that allow recording without the distortion. This means that recording during events or in concert halls are clearer and every decibel can be captured. 8. It has an amazing audio equaliser, called Nokia Audio. Users can choose from a dropdown menu for 19 audio presets, including Dolby Headphones enhancements feature and Audio Levelling functions. 9. Rather than having a speaker on the back, The Nokia Lumia 820 has a speaker at the bottom. Consequently, when you place the device on a soft surface, you can still hear your conference call and music. 10. Despite its gorgeous looks the Nokia Lumia 820 is not a unibody device, which means that if you want, you can remove the battery.